This picture shows 'C' Flight of No.2 Squadron, winners of the Inter Squadron Challenge Cup, September 1942. Many thanks to Ken and Mary Brooks for sending us this picture. Arthur John Pursey, their father, is third from right on the back row. 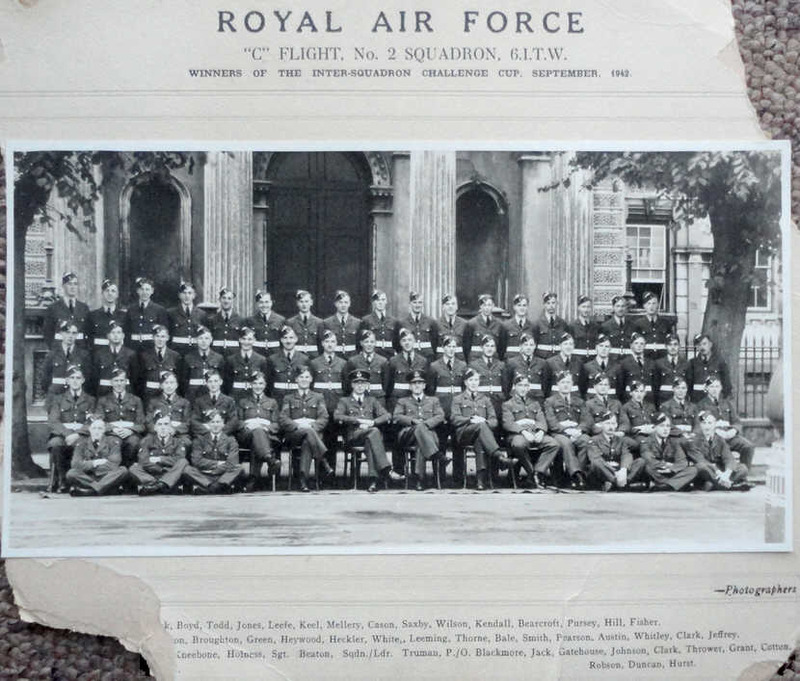 "C" Flight, No.2 Squadron, 6.I.T.W.